New Autumn Colors Sweater and a Top Down Raglan for a Walk in the Woods! Be sure to add a beautiful sweater to your resolution list this year. The new Autumn Colors Sweater is a colorful easy to knit, sweater for him or her. Knit in six, seven or eight colors of Ivy Brambles Superwash Worsted Yarn. 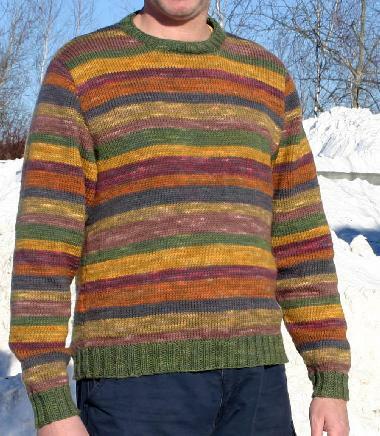 Stripes of natures colorways flow through this sweater making it a delight to work on and wear! Like to work top-down? Us too! Walk in the Woods Top Down Raglan Sweater Pattern offers the joy of knitting in the round combined with the beauty of the Ivy Brambles Superwash Worsted yarn semi-solid colorways to create a spectacular sweater! Start one today for you or a loved one - also makes a great Valentines Gift! 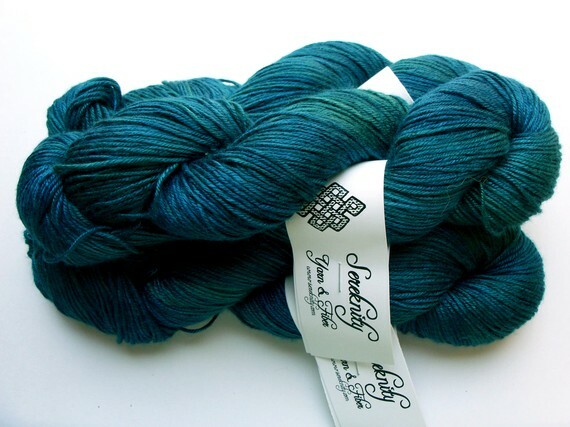 New colorways of Ivy Brambles Romantica Superwash Merino Lace have arrived! Echo Lake, Acadia, Bushkill Falls, Hydrangea and Deep Sea are now in and ready to ship! The favorites have also been restocked - Autumn Flame, Bluebell Woods and Night Sky just to name a few! Ivy Brambles Desire Silk and Wool Yarn is still available and on sale while supplies last - each skein contains enough yarn to make two pairs of the Super Bulky Mittens or one very generous scarf Ivy Brambles Desire Thick and Thin Scarf! Ruffled Manhattan Scarf in Prism Manhattan is Tops on Our List! At the top of this weeks list is the Ruffled Manhattan Scarf. Bright and cheerful, quick to knit and fun to wear, this simple and beautiful scarf takes only 2 skeins of Prism's Manhattan Ribbon yarn and a pair of US#11 (8.0 mm) knitting needles. Simply download the free pattern from website and you are on the way. Prism Manhattan yarn is 46% nylon, 30% cotton, 24% rayon available in 2 oz, 130 yds skeins. Manhattan is a beautiful hand-dyed yarn that moves from matte cotton to shiny nylon to shiny rayon to matte nylon in random stripes, Manhattan's effect is glorious! All of the colors are now in stock! Start one today for you and a friend! 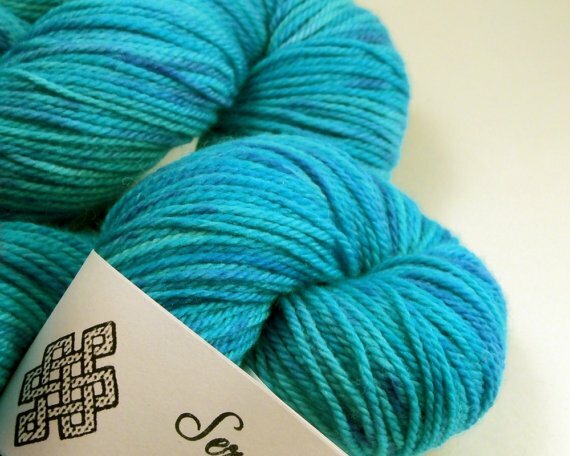 New Sereknity Yarns and 10% off Large Wooden Swifts and Royal Wool Winders! 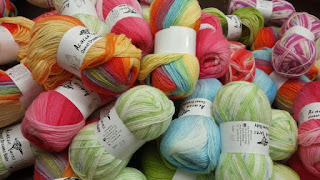 Lots of pretty new yarns arrived this week - all very colorful and fun! New Sereknity Yarns adorn the shop and fill the air with oohs and aahs! 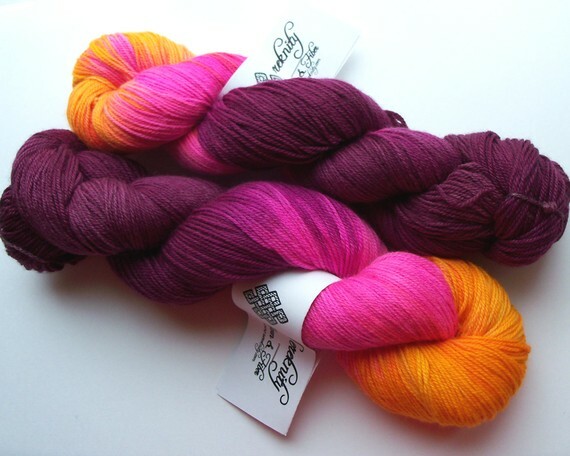 Sereknity Verity Yarn is a beautiful hand-dyed Superwash Merino DK yarn and is available in 270 yard skeins! This yarn is perfect for many projects including hats, baby garments and sweaters. Verity Yarn holds cables like a dream and is machine washable. Brand new this season Sereknity Yarns Sock Options Classica, 80% Superwash Merino Wool and 20% Nylon! Each 420 yard skein is perfect for a beautiful pair of socks! And last but not least, drum roll...... introducing Sereknity Yarns Daydream - 100% Bamboo sport weight that has amazing drape and the colors are beautifully bright with the sheen of the bamboo! Each skein is 220 yards and perfect for shawls, tank tops and other cool projects! Wow! On special for the holidays! Large Wooden Swifts and Royal Wool Winders - 10% off MSRP! Smitten with Mittens? Us too! Smitten with mittens! Mittens are great for quick projects for yourself, the grandkids or a warm gift for loved ones, friends or coworkers! Check out all of our choices! 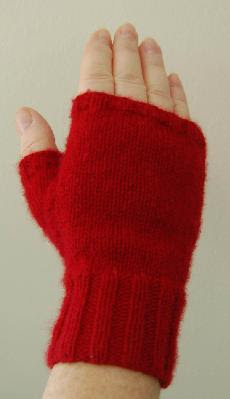 Super Bulky Mittens are great using only 33 yards per mitten of super bulky yarn! 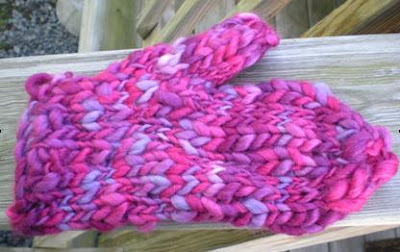 These mittens work up in a couple of hours and we have some fabulous yarn to make beautiful mittens in a jiffy! For example, who wouldn't like a pair of mittens made from hand-painted Desire Silk and Wool yarn - each skein makes 2 pairs of mittens - and it is on special! Each skein of Desire is now $29.95 while stock lasts - that's only $15 per pair of hand-dyed mittens! If Warm and Fuzzy Mittens are on your list, we have a fabulous pattern using one strand of Superwash Worsted yarn and one strand of Kid Classic or Mohair. The instructions work up for Small - Large hands and every pair looks beautiful in lots of different color combos! 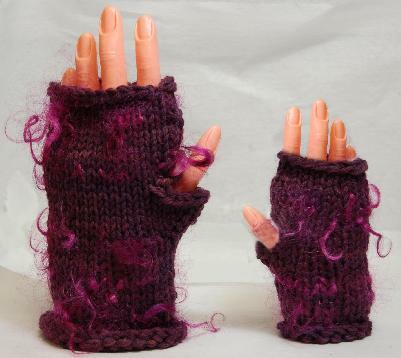 Like fingerless mitts? Us too! 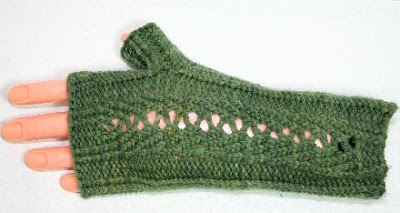 Check out the Weekend Warmers Fingerless Mitts Pattern made from one skein of the hand-dyed Superwash Worsted or the Tranquility Cashmere Mitts made from only one skein of Ivy Brambles 4-ply Cashmere! Start a new pair of mittens today and put a smile on someones face tomorrow! Have a great day and happy fibering! Great holidays gift ideas are here at the Yarn and Fiber Company! Right now, get your favorite Knitting With Friends® T Shirts, Long Sleeve Shirts and Tie Dye Shirts for 15% off MSRP! What a great gift! Dolly and her friends share some of their wittiest moments while fibering. 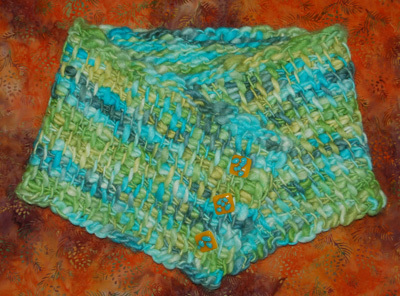 Designs include knitting, spinning, crocheting (hooking) and quilting. Most designs available in sizes Youth through 3XL. These shirts are a great way to share your enthusiasm with your friends! Also, we have the beautiful and practical Debra's Garden Knitting Gauges! All colors are now available and are a wonderful addition to any knitters project bag! Bagsmith Big Stitch Tunisian Crochet, Knitting Needles and Crochet Hooks are restocked and ready for the fiber artist in your life who enjoys their fibering in a big way! These fabulous tools come in sizes which range from Tunisian Hooks N (10 mm) to U (25 mm) Hooks, Double Points and Straight Knitting Needles in 35 (19 mm) and 50 (25 mm) and Crochet Hooks in S (19 mm) and U (25 mm). 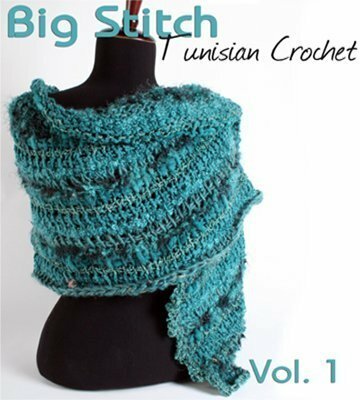 Gorgeous Jasmine Tunisian sweater and Desire Super Bulky Tunisian neck cowl patterns are now available as well as Big Stitch Knitting, Crochet and Tunisian Crochet books which contain multiple patterns for shawls, rugs, throws and sweaters. Enjoy your day and happy fibering! Looking for an easy and quick, warm and comfy, knit or crocheted earflap hat that uses just one skein of Ivy Brambles hand dyed Superwash Worsted yarn? We were too - until now! Just in Ivy Brambles Wildcat Earflap Hat Patterns available in knit or crochet! 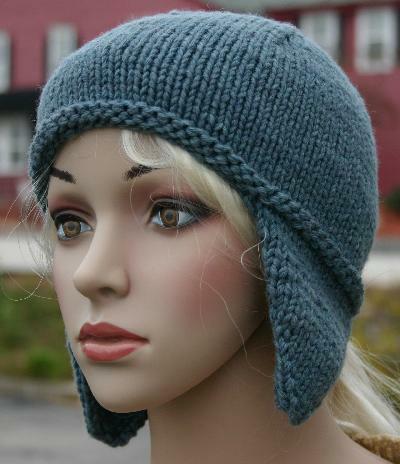 Generous earflaps for warmth and a stylish crown that spirals to the top create a warm hat that fits! These beautiful hats will keep everyone in the family warm and directions are included for toddler, child and adults! Everyone in the family will want one! Just in! New and colorful Bonnie Maresh Glass Buttons - we have hundreds of them and they are ALL beautiful!!!! These buttons are hand crafted by Bonnie and we love her and her buttons! Check them out! Each button is priced individually and each design is limited so don't delay! Sign up to win our prize giveaway! It's easy - click on the link below and enter your email address. Candy Corn has never been this Sweet! 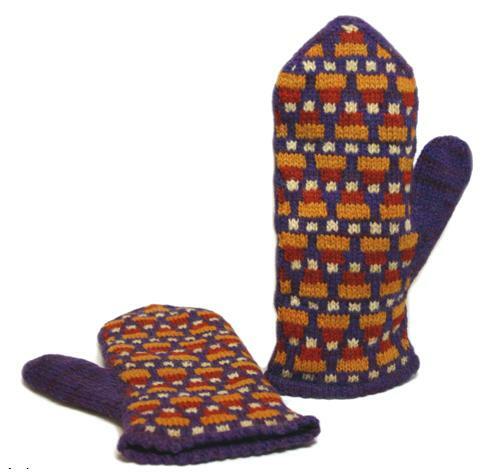 The new Candy Corn Mittens have arrived from Emily Elizabeth Designs and they are fabulous! These totally cool, yet warm, mittens are beautifully designed; the outside is knit using Ivy Brambles hand-dyed 2-ply Shetland yarn (now available in 25 grams) and lined with the luxurious Ivy Brambles 2-ply Cashmere! Mmmmmmm!!!!! The pattern is now available as a PDF download and we have kit this yarn for your convenience in our Project Kits section of the website. Speaking of fun! We have just pulled a new winner for the September prize giveaway! It could be you so remember to check your emails! Sign up now and be registered for our next prize giveaway which will be drawn in December! It is simple to sign up - simply go to our website and click on the right hand column where it says prize giveaway, enter your info and you are in the drawing! Thanks and have a great day! Happy Fibering! 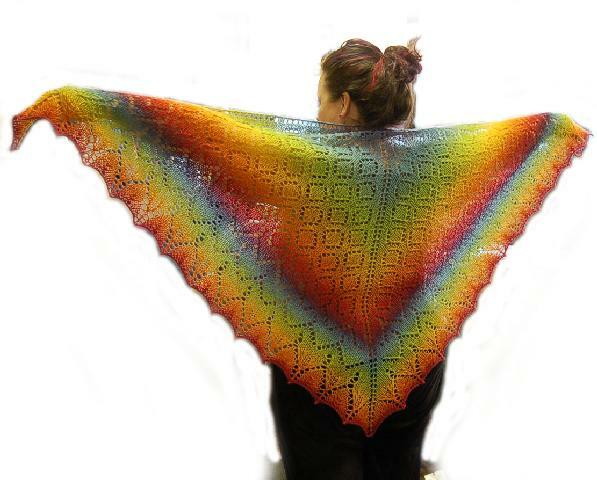 Kauni Effektgarn and Kauni Rose Shawl Pattern now available! The new Kauni Rose Shawl has just been added to our website as a free pattern! The Rose Shawl uses only 490 grams of the beautiful and fun Kauni Effektgarn self striping yarn which we have just restocked. What great timing! 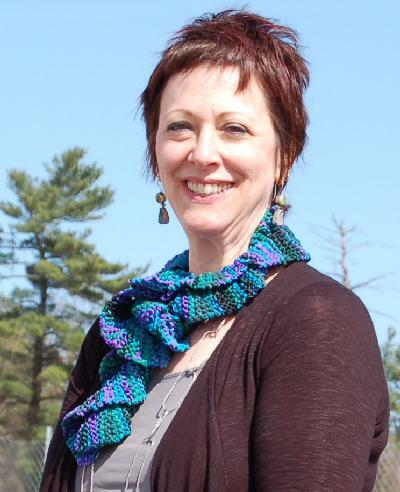 The shawl is easy to make and fun to wear in any colorway. The hard part is chosing your colorway! 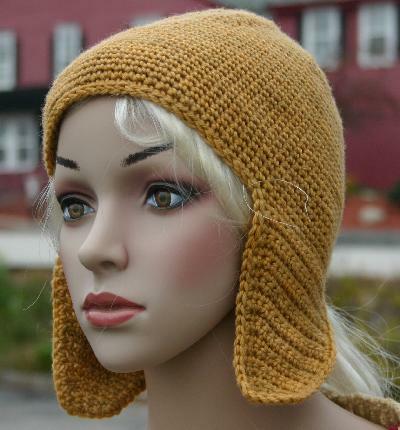 The pattern is available as a download in the free patterns section on our website and is called Kauni Volume 8. 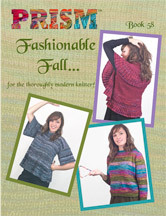 Kauni Volume 8 also features patterns for a two beautiful Kauni sweaters and a stunning lace shawl. And, if you are wondering what to do with only one 150 g ball of Kauni Effektgarn, there is the beautiful Diamond Delight Shawl featuring easy to follow row-by-row instructions as well as charted pattern designs. Whats New for Fall and Fun Shows in October and early November! New colors of Ivy Brambles Mohair Curly Locks and 4-oz Merino Rovings are in! Mohair Curly Locks are great for mixing in with your knitting or using for needle/wet felting! Check out our great Mohair Curly Locks Fingerless Mitts pattern made from only one skein of Ivy Brambles Superwash Worsted weight yarn and one 2 oz bag of Mohair Curly Locks! Like warm fingers? 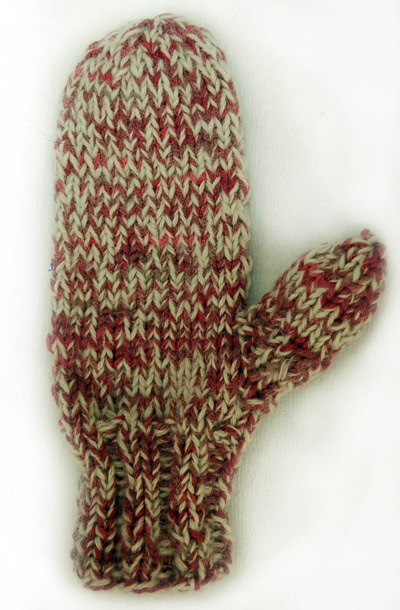 Try the Nancy Warm and Fuzzy Mittens knit with one strand of worsted yarn and one strand of mohair! Try a crazy color combo and be the envy at your next snowball fight! The newest Ivy Bramble colorways in Deep Sea and Hydrangea are now available in the Sockscene Yarn line! Absolutely beautiful! In addition, new ribbon yarns, novelty yarns, yo-yo makers, pom pom makers, triangular stitch markers and sparkling stitch marker sets have arrived and are loaded for fun! More arriving each week as the weather turns cool and the leaves turn beautiful! Also new at the Yarn and Fiber Company is Quilting! Classes for Log Cabin, Radiant Star, Applique and Template Piecing are starting within the next couple of weeks - sign up today and learn something new this Fall! Fabric, gadgets, batting, and books are now available online and in the store. New fabrics and threads are arriving monthly so check back often for the latest and greatest from your favorite top fabric designers! Are you visiting the New England area this October? It is a great month to visit and there is lots to do! October starts out with the 22nd Annual Vermont Sheep and Wool Festival this weekend, October 3 and 4, in Tunbridge VT. In addition to the wonderful workshops, competitions and the yarn, roving, spindles and more, the Festival is host to the 2010 Eastern Cashmere Association Goat Show! Visit their website for more information and a discount admission coupon! And don't forget to stop by and say Hi! We will be in Pavilion 12 with lots of wonderful garments, yarn, roving and more! 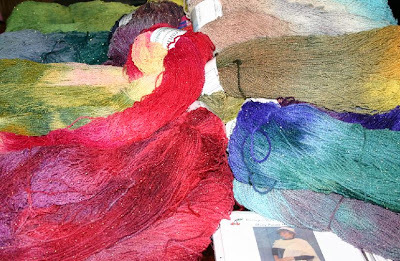 Columbus Day Weekend is always a delight with the Wool Arts Tour taking place in our wonderfully scenic state of New Hampshire! We are located at the Spinner Farm location and will have our wonderful Ivy Brambles, Sereknity, Cherry Tree Hill yarns and fibers as well as the Knitting, Crocheting and Spinning with Friends long and short sleeve t-shirts! Always a delightful venue featuring Charles the Serious Alpaca, Frankie, Johnny and Mack the beautiful angora goats, lots of frolicking sheep and the gorgeous horses who live on this beautiful farm run by Leslie and Steve Chunn! And this is just one location to visit on this beautiful tour! Stitches East takes place in lovely Connecticut the final week of October, but don't be scared by Halloween - all treats at this show, no tricks! Lots of workshops, knitting, yarn, knitting, fashion shows, knitting - oh did I mention the knitting? And, last but in no way least, the first weekend of November invites you to join us at The Inaugural Fiber Festival of New England in W. Springfield MA! This is going to be a fabulous show, with over 200 booths, live animal displays, workshops, demos, entertainment, children's activities and more! Hello Fall and Happy Fibering! Oceans of Yarn Coming Through the Door! Prism, Cherry Tree Hill, Schaefer and More Begin the Fall Restock at the Yarn and Fiber Company! What better way to kick-off the season with our favorite hand-dyed yarns! Bright colors adorn and send out the call for creativity! Just in - Prism Stuff in full and half skeins and all the colors of Prism Manhattan Ribbon! Absolutely beautiful and fun to work with! 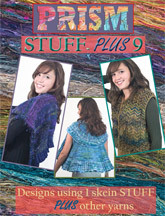 Plus (no pun intended) the new Prism Stuff-Plus 9 and Books 58 and 59, by Prism hand-dyer Laura Bryant, have arrived full of more inspiring and creative garments to put the fun back in your knitting and crochet! The surge of Oceania continues with all the beautiful colorways from hand-dyers Cheryl Potter of Cherry Tree Hill and Ivy Brambles signature colorways are now featured in this yarn! Many one skein sweater patterns are available to use with this yarn and they are available as PDF downloads for your convenience! If you live in the area, come by and try on the trunk show, we have almost all the garments for you to try! Fun, fun, fun! Schaefer Anne is in and fabulous in its very popular colorways! Anne makes gorgeous socks or shawls with its vast yardage! Happy Fall and have a fantastic fiberlicious week! Hello and Happy September Everyone! We just picked up more of the Cherry Tree Hill Oceania yarn! Oceania skeins are big, beautiful, hand-painted and just one skein makes a sweater at 1440 yards of pure beauty! We have all the traditional Cherry Tree Hill colors in stock - get your favorite today! Don't know what to make? May I suggest the Oceania Kimono jacket - looks good on all sizes from an XS to a 3XL. 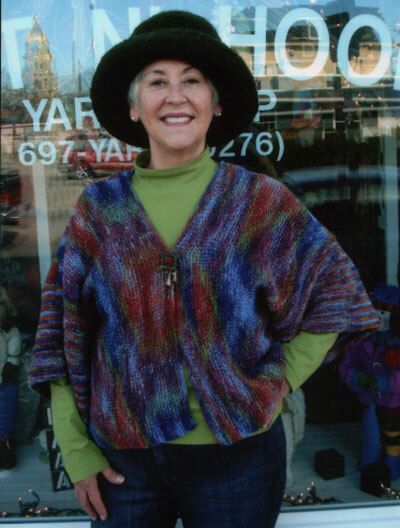 The Oceania Kimono is a simple, rectangular garter-stitch jacket that everyone can make easily and the results are flattering using the beautiful colorways! Another favorite Oceania design is the Breakfast at Tiffany jacket. This jacket is light and stylish and again, only one skein makes this spectacular wear anywhere garment. Another beautiful garment is the Never-Ending Shawl Pattern - one skein of Oceania yarn makes a warm and large shawl that is comforting and beautiful. So whether you would like a shawl for the upcoming cool air or need a holiday gift or a friend is in need of a prayer shawl, this is the perfect yarn and pattern. 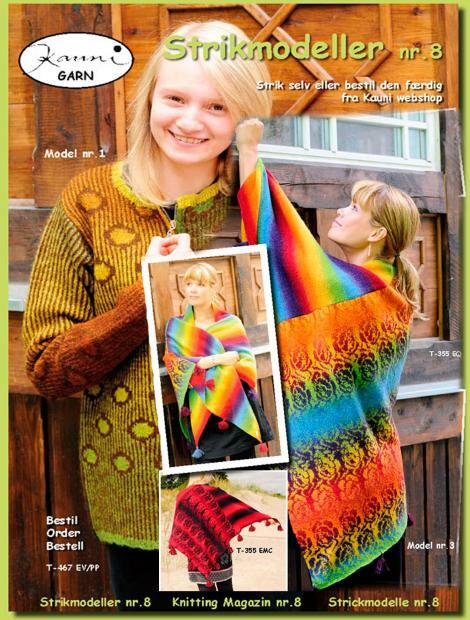 Pattern is available in the Special Little Knits book which is on special for 20% off. Oceania yarn is no longer produced and we are happy to have a few more skeins of it to offer to you! We will continued to stock this yarn as long as possible but we expect it to completely disappear within the next couple of months. Don't delay and be disappointed! Stock up on your favorite colors now! Happy September and Have a Stitching Week!